A remarkable novel written by the Brazilian journalist Bernardo Kucinski. 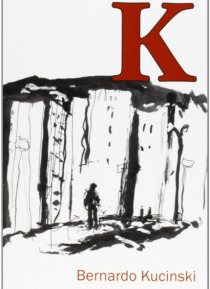 K is the story of a father who searches desperately for his daughter, 'disappeared' during the military dictatorship in Brazil. The father is himself a refugee from Poland in the 1930s. He is racked by feelings of guilt-that because he was immersed in his Yiddish writing and scholarship, he did not really know his daughter o… r the danger that threatened her. The novel is based on a true story - the disappearance of Kucinski's younger sister in 1973. As the author says, 'Everything in this book is invented but almost everything happened'. The first Brazilian edition sold out in a few weeks, and the novel has been shortlisted for literary awards in Brazil and Portugal. Most recently it has been short-listed for the IMPAC Dublin Literary Award 2015.